david arquette was pictured at the 27th annual rock and roll hall of fame induction ceremony in cleveland ohio yesterday. the actor wore a midnight contrast lapel linen suit from rag & bone spring summer 2012. i thought he looked really good there, the blazer fitted well. the trousers appeared a little long but it could be the wrong choice of footwear. not sneakers really. 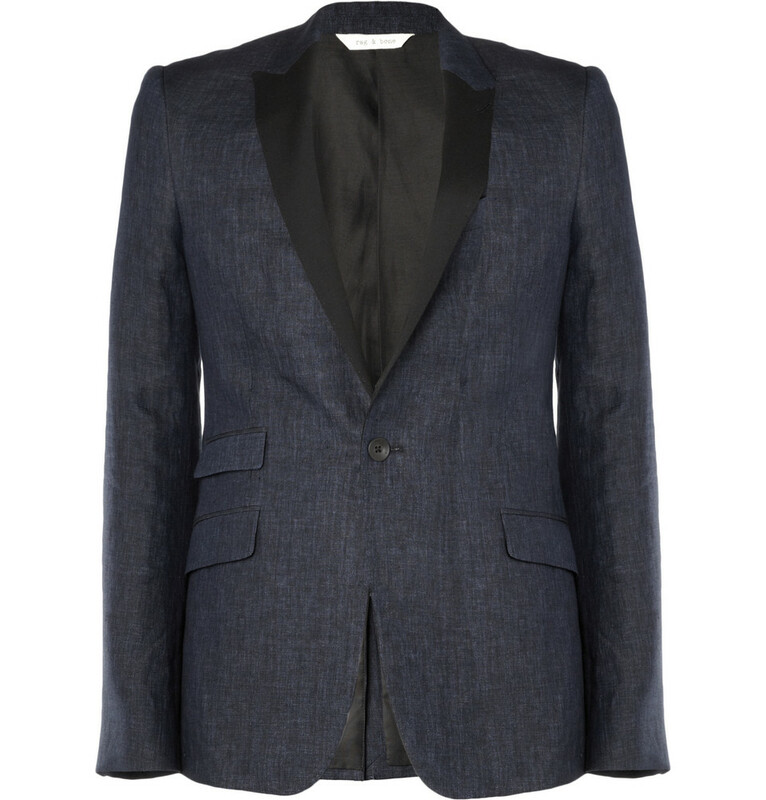 you can get david arquette's rag & bone contrast lapel blazer online from mr porter.